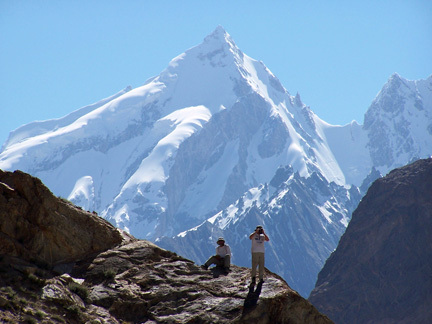 UNAVCO GPS receivers were used to repeatedly determine the location of a network of stakes both across and along the Baltoro Glacier, Pakistan. Measurements were made from the glacier terminus to K2 base camp over a horizontal distance of ~40 km. Repeated measurements of the stake locations will enable determination of the glacier surface velocity. In addition, distinctive land features will be accurately located with the GPS system to enable their use as ground control points in the georectification of satellite imagery.